Animals often share space as they move through their environment. Capturing these aggregations and co-occurrence events has proven extremely difficult in elusive, wide-ranging animals. 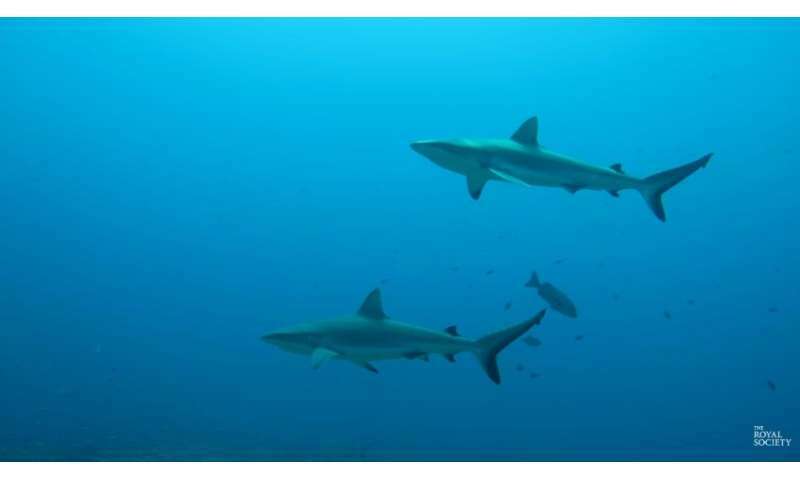 A recent paper published in Journal of the Royal Society Interface presents a novel approach to inferring social networks from acoustic tracking data of sharks. The authors demonstrate the first evidence of long-term, spatially-extensive social processes in wild sharks, showing that some individuals act as leaders. Interestingly, these leaders are female sharks, revealing a new insight into the behaviour of these animals. We spoke to lead author Dr David Jacoby about the research.